Voice your opinion! Review Compliance Signs now. They gave me just what i wanted. needed a sign for my garage, and they provided high quality one. Prices are not high. 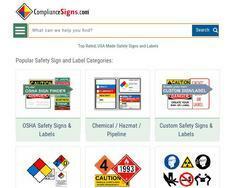 Is Compliance Signs your company?